Search "Loctek" 18 results have been found. 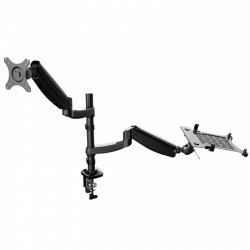 Lift your Laptop to new heights with the Loctek D5L Laptop Arm. The universal laptop tray effortlessly fits 11" - 15.6" laptops. This arm easily rotates 360°. 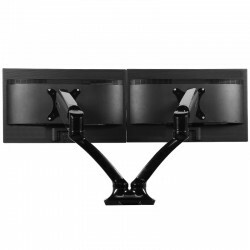 Equipped with a built in speaker this monitor mount offers an attractive way to display your monitor while saving the most amount of desk space. 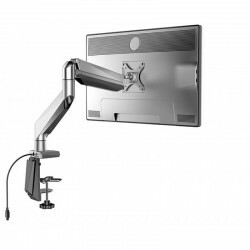 The Arm easily adjust, allowing you to work in a more comfortable, ergonomically correct position. Staring at a laptop screen that's not eye level can cause neck and eye strain, as well as painful back problems. 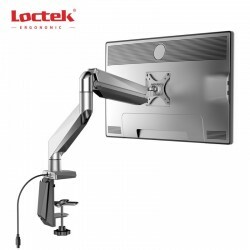 Easily mount your LCD Monitor and your laptop with the Locktek D5DL. 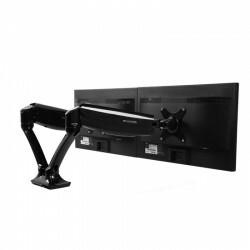 This monitor arm can fit monitors and laptops weighing up to 11lbs. 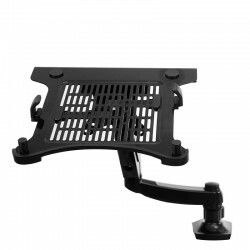 With the ergonomically designed mount you can easily secure and remove your laptop. 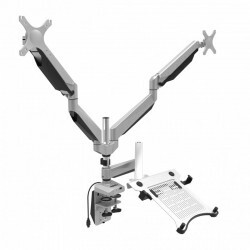 The Loctek Dual LCD Monitor Mount supports 3 - 11 lbs per monitor arm and has two built in USB ports located in the mount.